A major project aimed at opening up Trinity Inlet in Cairns to more shipping has moved a step closer. 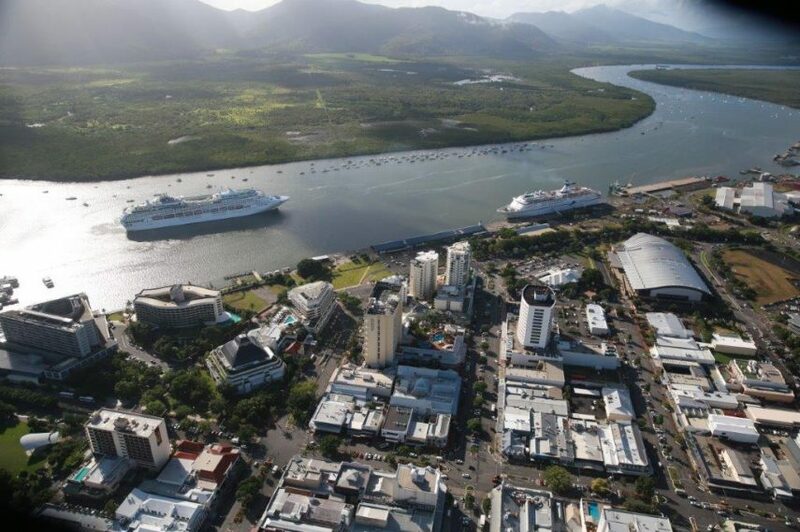 Cairns Regional Council has approved works associated with the transportation and storage of dredge spoil from the inlet, paving the way for the Cairns Shipping Development Project to go ahead. The Cairns Shipping Development Standing Committee today provided its heavily conditioned approval for a material change of use application and operational works permit relating to the land-based storage of dredge spoil. Mayor Bob Manning said the approval was a key milestone in the long-awaited project. “This project is a critical step in growing our economy, as has been identified in the Cairns 2050 Shared Vision,” Cr Manning said. Under the CSDP, it is proposed that up to 1 million cubic metres of dredge spoil will be removed from the inlet shipping channel to both widen and deepen the existing channel and swing basin. The creation of a new swing basin at Smiths Creek and structural upgrades to existing wharves are also included in the $127 million State Government project. Today’s approval is accompanied by 70 pages of conditions that have been applied by the council and relevant Sate Government agencies. “This is an important project for our city and our region, but one that needs to be undertaken properly and thoughtfully,” Cr Manning said.